Happy as a child, I exit from the store with my new Nokia 6630. They have taken my old 8310 for 30 euro too, total: 319 euro. -The operating system is quite fast (SymbianOS v.8.0). -The ringtones are excellent and someone beautiful. They are much pleasant to feel and play well. It's UMTS and you see it: to approach the web and - above all - to receive and send e-mails is part of logic of the handheld. Within pack there is USB cable (and the CD with PCSuite) and stereo earpiece. 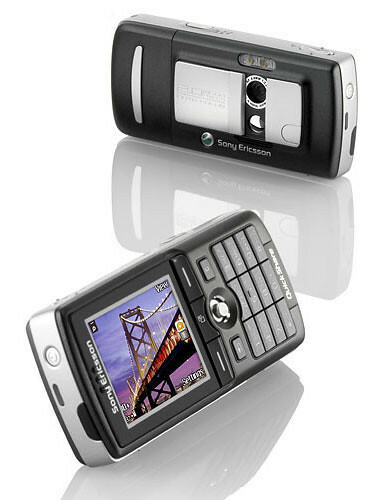 It's interesting the 1.3 megapixel fotocamera and the fact that reads Mp3..connected with the PC promises wonders. As good geek, I have read the handbook of instructions before using it, as usual in the Nokia style it's very well made and without errors. I must say that Symbian OS is complete, there are some comfortable functions that in the other systems operated sometimes lack: i.e. to copy and past between applications. I tested the camera too. I must say that first time you see results you are not so happy, expecially those photos in night scapes. In light, is much better. But i'm comparing it to my Nikon 3100 that is as 3 megapixel, so it's not correct. As a mobile fotocamera, it's very good. In any case I must still try Flickr, adding my blog and email to which send the photos. I have installed PC Suite and I must say that it has been a disillusion (it's the first time I see it): from Nokia I expected something more, something nearest the Palm Dekstop. I expected for example, of being able to manage calendar from PC. I've used intensively for a couple of days. Mine compilation of Mp3 goes on telephone but only 10-12 files, a pair of hours. Its small RS-MMC of 64 MB. There are card RS-MMC from more MB (I read that they are in order to arrive to 1 or 2 GB), after some weeks I'll probably buy some from 256 or 512..
Now we come to the problems: in theory all good well, no resets neither trying intensively Bluetooth. However an object much performant, and really good the new operating system. The keyboard has been better than I feared. A competitor, in my opinion, of the 6630 maybe the Sony Ericsson S700 but first of all an other Nokia, the 6670, than in the coloration silver is truly beautiful (must see it): but it costs more (in Italy 6630 is in 349 euro), it is not UMTS and the operating system is a bit slower, but ..style has its price. Mena Trott of Six Apart recently has announced the acquisition of francais partner Ublog (the one company of Loic le Meur). When registered comments are allowed on your site, you have the option to approve each new commenter when she or he posts a first comment. Until you've approved a commenter, his or her comments will not be displayed on the weblog, but after approval, that user's comments will appear as soon as they are posted. This way, you can control the community of people who comment on your site, without managing each individual comment. This means that the first commenter records in, from the second is ok. And for the spammers should be beautiful difficulties. But I must still understand well how the reader records before the time on Typekey. I do not see valid alternatives. That is, there would be that one to moderate the comments, but for me it's not valid: the comments work 'cause they are immediate, recent - the date of comment is part of the same comment, it means reactivity to the argument, interest, or chance. In any case, I have tried: are months that I'm holding open comments and in the last weeks I make a rebuild too often in order to cancel recursive comments spam. This page is an archive of recent entries in the Tools category. Sport Life is the previous category. Travels is the next category.